Pod and Festival Republic present Electric Picnic back to celebrate it's 12th year, and held from Friday 4th to Sunday 6th September at Stradbally Hall Estate, Co Laois - less than an hour from Dublin. Florence + The Machine, Underworld, Manic Street Preachers, Belle & Sebastian, Blur, Sam Smith, Grace Jones, Interpol, FKA Twigs, Despacio, Paul Kalkbrenner, Mos Def, Mac DeMarco, MK, Gavin James, Printer Clips, Julio Bashmore, The Riptide Movement, The 2 Bears, Soak, Dawes, Benjamin Clementine, Fat White Family, Honne, Kwamie Liv, Fickle Friends,The War on Drugs, George Ezra, Roisín Murphy, Jon Hopkins, Tame Impala, Hot Chip, Future Islands, Jurassic 5, Chvrches, Ride, Battles, My Morning Jacket, Jessie Ware, Django Django, Low, Pond, Tourist, Metz, Girl Band, Kwabs, Lapsley, Alvvays, Marika Hackman, Steppa Style Brother Culture, Braintheft, Dirty Dubsters, Revelation Soundsystem, After The Ibis, Interskalactic, World Bass Culture, Karma Parking, Will Softly, Dub Investigation, Outlaw Soundsystem, Fyah Red, Jah Lex Mr Upfull, Johnny Pluse & The Storm Troopers Of Love, Miss Scotty, One World Sounds, The Clandestinos, Synergy, Jaheire, Explosion Soundsystem, Colonial Fx Bass Nation, Ruff Chuff, Murray Man, Ras Tinny, The Dub Doctor, Warren Roots, Tom Beary, Riddim Tin, Arubdub, K.I.N.T, Jack Garratt, Wvyern Lingo, Circa Waves, Hinds, Shura, Ben Khan, Curtis Harding, Aquilo, and more. For the line-up details as available see the Electric Picnic line-up page.  As well as loads of comedy, spoken world, a range of stages, lots of site art and many areas to explore with plenty of catering options and all the normal facilities you'd expect at a festival, and an an emphasis on eco-friendly initiatives. Tickets sold out in June. Weekend tickets were priced at 229.50 euros, and 174.50 euros if you can prove you've been to the Picnic once/twice before, or 154.50 euros if you can prove you've been to 3 or more Picnics. Instalment tickets are also available and can be secured for 65 euros. A campervan pass is priced at 60 euros.